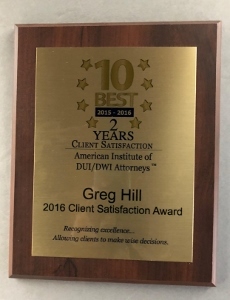 A great deal of confusion exists even among prosecutors and the DMV concerning whether a person convicted of a second-time DUI (defined as a second conviction within ten years of the first conviction) or a person who loses the DMV hearing for a second-time DUI is eligible for a restricted license and if so, when. Surprisingly, many defense attorneys also are unaware that with certain exceptions, a restricted license is available after 90 days. What to Take Away: Under Vehicle Code § 13352(a)(3), a person convicted of a second DUI within ten years has the right to be issued a restricted license after serving 90 days of actual suspension, unless the second-time DUI is a felony DUI, a DUI with a refusal to submit to a breath or blood test or an underage DUI. Even the DMV is often unaware of this and reluctant to issue such a restricted license, so a talk with a supervisor there is often necessary. One explanation for the confusion may be that the law changed a relatively short time ago. On July 1, 2010, Vehicle Code § 13352(a)(3) was amended to allow second-time DUI offenders to apply for a restricted license with installation of an IID after ninety days of actual suspension. Previously, a second-time DUI offender was stuck with a one year license suspension. This is not some obscure code section buried within a code manual with eight-point font. It recently played out in a published decision. Dominique Mateo was convicted of DUI three times, but only twice within the last ten years. As such, Mateo’s third DUI was considered a second-time DUI because the first DUI was more than ten years from the date of the third DUI. After his third DUI conviction, which also involved a traffic accident, the DMV suspended his driver’s license for one year. Mr. Mateo was not a juvenile and he did submit to a breath test. The accident happened on February 23, 2010, or before section 13352(a)(3) was amended. After ninety days of actual suspension, Mateo went to the DMV and requested a restricted license. The DMV denied his request and Mateo filed a writ of mandamus in the socal superior court, challenging the DMV’s refusal to grant him a restricted license with an IID. The judge granted Mateo’s writ, ordering the DMV to grant Mateo an IID-restricted license. The judge based his decision on In re Estrada (1965) 63 Cal. 2d 740 and People v. Durbin (1966) 64 Cal. 2d 474, saying that according to these cases, Mateo “was entitled to the benefit of a statutory decrease in punishment at the time of his conviction”. Dominique Niki Mateo (2012 DJDAR 13353). The DMV appealed, but the First Appellate District found that the legislative history suggested 13352(a)(3) could be applied retroactively. The DMV claimed that the legislative history was actually not so clear as Mateo argued, with which the First Appellate District disagreed. In addition, the First Appellate District cited to amicus curiae (“friend of the court”) briefs that made a valid academic argument. Amicus curiae (also a friend of second-time DUI offenders state-wide) pointed out that applying the amended version of 13352(a)(3) to persons arrested, yet not convicted, “ is not in fact applying the statue retroactively because it does not change the legal consequences of past conduct by imposing new or different liabilities based upon such conduct.” The First Appellate District considered this point meritorious and consequently, found its application of 13352(a)(3) to Mateo proper. Moreover, the court discussed at length the distinction between applying a sanction retro- actively, which is presumed invalid, and Mateo’s situation, where he was being granted a new right. The court pointed out that these situations were found materially different. In addition, the underlying criminal punishment ordered by the court for the second-time DUI was unchanged. The court characterized its retroactive application of section 13352(a)(3) as more of a change in the rules for administering license suspensions only. Costs on appeal were awarded to Mateo. This meant the DMV had to pay Mateo’s costs and attorney fees for their losing appeal.